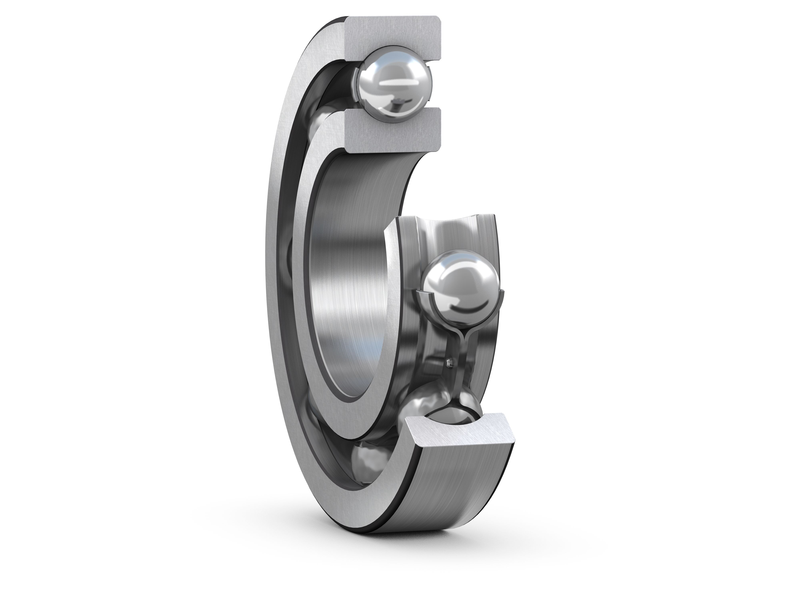 This bearing consists of inner and outer rings with deep symmetrical ball race, ways, separator and complement of Balls. This bearing is designed primarily for radial load but due to it's design features it is capable of carrying equal amount of thrust load in either direction and is capable of operating at high speed too. This bearing has the lowest frictional losses and therefore, it is the most widely used among all types of bearings.